As it’s obvious from its name, WordPress puts a lot of emphasis on the written word. There are endless possibilities and settings when it comes to writing. But it has been a long time since media files were something you could ignore on your site. Because, if not for anything else, “a picture is worth a thousand words”. Today, it’s common to start a WordPress blog entirely dedicated to images and videos, without having a single “conventional” post on the blog. But even if you want your visitors solely to focus on what you have to say, you will still have to work with media files. Just in case you personally don’t like adding photos and videos to articles, consider using them for your readers. Even Google and other search engines will give you extra points for having media rich articles. Everything’s much better with images and WordPress will help you add them to articles. Sooner or later, you will have to start adding images to your website. 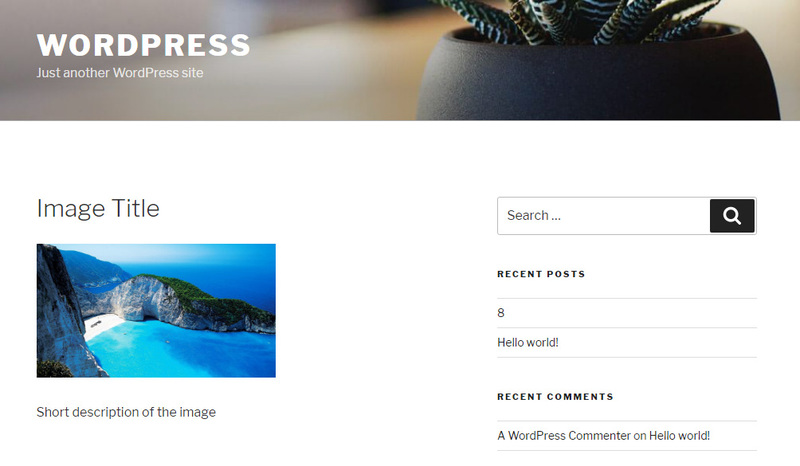 In this article, we are going to help you with the first steps – getting to know WordPress Media Library and learning how to add your first image in WordPress. After that, you’ll be on your way to master media management on your site. WordPress Media Library is a virtual repository of all media files (images, videos, audio, and other documents) that you can use on your site. It allows you to upload and manage media files, insert them into posts and pages, and even quickly edit on the go. Although you can work with different file types, we will focus on images. When you open the library for the first time, there won’t be any files on the list. So your first task is to upload images so that you can use them in posts and pages. Please take note that you can also add images and other files directly from the article you’re editing. Please see the next section for more details about that. From the moment you opened images from your computer or dragged them to the dashed box, WordPress will start uploading the files. Depending on the speed of your internet connection, your hosting provider and the size of files, it may take you up to a few minutes on average until WordPress finishes the upload process. Every file will get its personal progress bar so you can know how fast (or slow) that particular file is uploading. By default, WordPress allows you to upload multiple media files at once. Just in case this doesn’t work for you, you can always switch back to a more simpler Browser Uploader. It will work even on older computers, but it will allow you to upload only one media file at the time. After uploading at least one file, the changes will be visible in the WordPress Media Library. To open it, please navigate to Media -> Library. 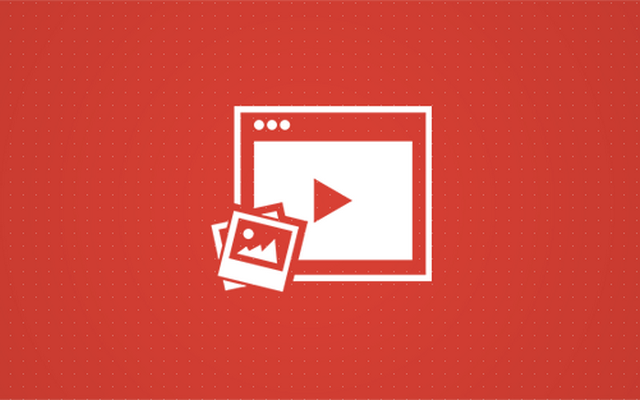 This new page will show you a list of all media files that you’ve uploaded to WordPress. You can show files in a list or grid view. If you want to filter specific file types, choose only images, videos, audio or unattached files (files that don’t belong to any post or page). You can also display images from specific months and years. If you want to delete more than just one image, click the “Bulk select” button, choose images, and click the “Delete Selected” button. On the right side of Media Library, you will find a simple search box which allows you to find an image in the library. Although it may seem unnecessary at the moment, this feature will be very helpful once you accumulate hundreds and thousands of files in the library. As you will probably spend most of your time writing new posts, it is good to know that you can add images and other media files directly from the post editing screen. By controlling media files from here, you even get a few extra options, so let’s see them. By clicking the “Add Media” button on top of the post edit screen, a new pop-up window will appear. Basically, the WordPress Media Library is the same – you can upload files directly from your computer or select images already uploaded to the library. Although the screen looks pretty much the same as the one you open through WordPress admin menu, you can notice that the left side has a few extra links. 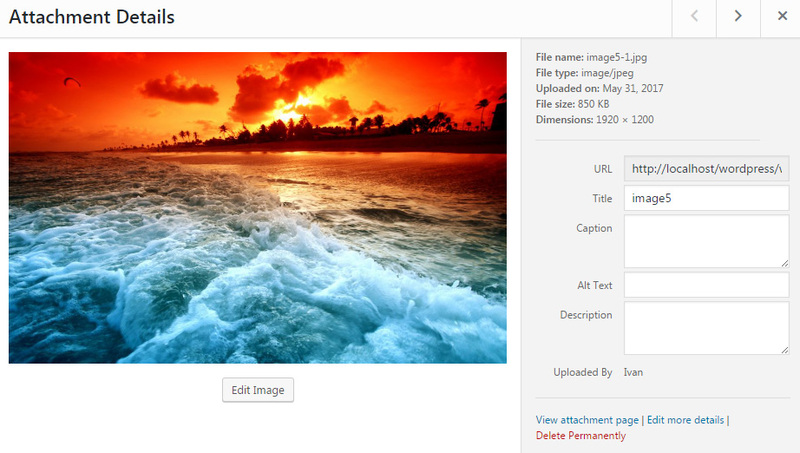 Besides inserting images, you can create a gallery, select a featured image for that post or insert an image from URL. By setting up a gallery, you can select multiple images and add them into your post. WordPress will then create a collage of the chosen images and display them within the post. If you are using the visual editor, you will see all the grouped images, and you can click on them. If you do so, two new icons will appear which will allow you to edit and remove the gallery. If you switch to the Text editor, you will notice a [gallery] shortcode in the same place. As from WordPress version 3.5, the gallery shortcode can be extended with numerous parameters so you can modify it manually. Since working with the parameters requires some understanding of how shortcodes work, we will skip that for now. But if you want to know more about the feature, please see more about it on the official WordPress Codex pages. Select an image that will represent your post. Depending on the theme you are currently using, this picture may appear in different places as your post’s thumbnail. It also frequently appears above the post on the single-post page. But, again, it really heavily depends on the theme. If you have a picture located on another server and you can’t or don’t want to upload it to your WordPress site, you can insert one from URL. You will need the absolute path (the complete link address) to that image. For example https://firstsiteguide.com/wp-content/uploads/2017/05/wordpress-media-library.jpg. As soon as you paste the URL, there will be a preview of the image. You can also edit a few details before inserting it into the post. Before adding images from an URL, make sure that you have permission to do so. Many photos are copyright protected, and using them without permission will mean that you’re stealing those image. Please note that this size may depend on the theme that you use. Also, you can select your own dimension if you navigate to Settings -> Media from the WordPress dashboard menu. Before we get to the part where you can crop, resize and edit images, let’s see how to modify some details. This will help you organize files on your site, and it will be beneficial to your visitor and search engines to have all the extra data about files on your site. 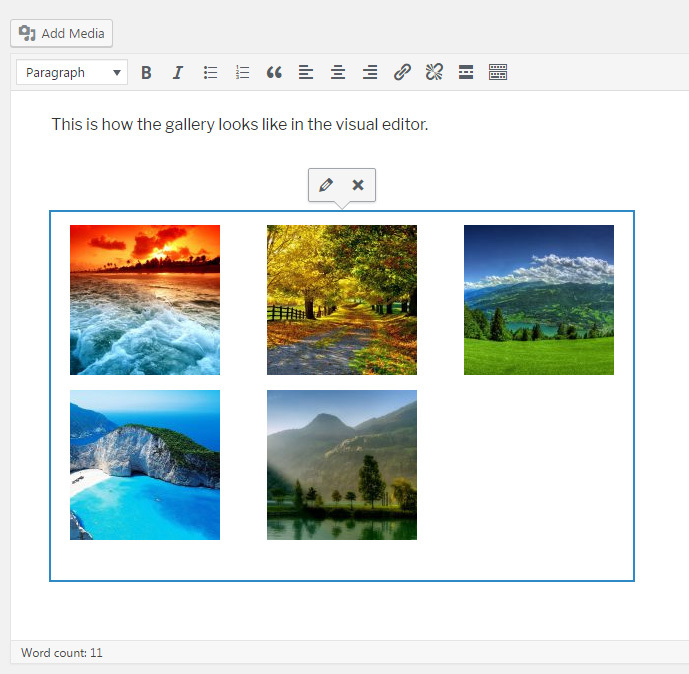 WordPress developers were kind enough to introduce a feature that lets you modify images that are already uploaded to WordPress Media Library. To do some extra work on the picture, just select one from the Media Library list and click the “Edit Image” button below it. Now you can crop, rotate and flip the image without having to upload it once again. There are also undo and redo buttons that will let you fix mistakes done while editing. This tool is obviously not a replacement for Photoshop but it does wonders for small, fast fixes. To rotate the image you selected, click the button to turn it to left or right. On the right side, you can enter new dimensions for your image. As you enter width or height, WordPress will automatically calculate the other dimension so that your image keeps its aspect ratio (you don’t want it to be distorted). If you try to scale up an image, you will see a little red exclamation mark next to which will indicate that scaling up isn’t possible. To crop the image, click on it and drag to make your selection. By holding down the Shift key while making a selection, you can keep the aspect ratio. If you want to modify it, change the aspect ratio from the right side of the screen. For example, use 1:1 ratio to make a square selection or change it to 4:3, 16:9 or anything else that you want. Once you have made your selection, you can quickly adjust it by choosing the size in pixels. The minimum range size is the thumbnail size as set in the Media settings. The last option allows you to apply changes to all images sizes, just the thumbnail or everything but the thumbnail. For example, you can have a square thumbnail that displays just a section of the original image. 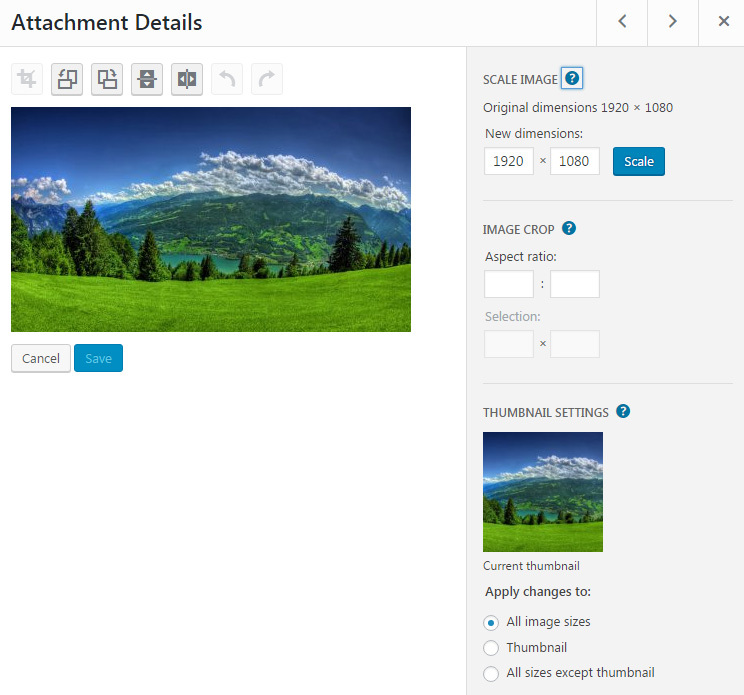 From the moment you upload a new file, WordPress creates a new attachment page for it. You can access this page by opening any image and clicking “View attachment page” from the right side options panel. This page is just like any other WordPress page. But instead of publishing it manually, WordPress does it for you. For example, attachment page for an image will show that image with all its additional data like title, description, caption and alt text. You can edit the page just like any other, have comments on it and share it with your users. Data shown on the page depends on the WordPress theme. Some themes may choose to show more or fewer data. Working with images and other media files in WordPress is fun. But before it becomes fun, you should learn how to navigate through WordPress Media Library. We hope this article has helped you with that and that now you know how to add new images, edit them and insert into posts, show galleries, and attachment pages.